For a long time, they were not and I could only respond in the negative. This was never a very satisfactory reply. Not for me, because I dreamed of having books of electrons, and piteously begged my publishers to make it so.1 And certainly not for the would-be purchaser of said electrificated tomes. “No, sorry they’re not,” I would say mournfully. This led to me having to explain how it’s beyond my control. They never believed me just as no one believes John Malkovich in Dangerous Liasions. No amount of talk of contracts and publishers reserving the right and blah blah blah ever convinced them that I was not being willful and obstreperous. Their eyes would glaze and they’d walk away. They weren’t happy. I wasn’t happy. There was SO MUCH UNHAPPINESS! All of my novels are now available as e-books in North America and some of them are on sale right now. 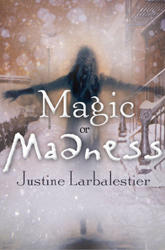 Yes, even the first book of the Magic or Madness trilogy, which is called, wait for it, Magic or Madness. Their wise publisher deemed it absurd to have the first book in the trilogy available when readers could just skip to the second and third book. But no longer! You can download all three in any format for any device you wish to purchase them on. Halelujah! The anthology I edited with Holly Black, Zombies versus Unicorns, is also available on all devices. And is currently available for the bargain price of $3.99 which is ludicrously cheap. Love is Hell which includes my short story “Thinner than Water”3 is also available on every device known to humanity. Team Human by me and Sarah Rees Brennan will be available in all formats going, which is how I like it.5 I don’t know when or how much it will cost. Though 3 July 2012 is the current publication date for the paper version in North America. I am investigating and it looks like only Zombies versus Unicorns is definitely available in e-book form. You can get it from Readings and Read Without Paper. I hope that in the not too distant future all my books will be yours for the push of a button. We are living in the future! So, how many of you actually consume e-books? I do. In vast numbers. Usually books that in the past I would have bought in paperback. When I truly love an e-book I tend to buy a hard copy. It has made a huge difference to travelling. I never run out of books now. On the other hand, as a bunch of us were discussing on Twitter, formats becoming obsolete scares me. I have floppy discs from the olden days . . . So useful! So glad I backed all my early writing on those little babies. Update: All my Allen & Unwin books are now available on multiple platforms in Australia and New Zealand. Those books are How To Ditch Your Fairy, Liar, Zombies Versus Unicorns and Team Human. 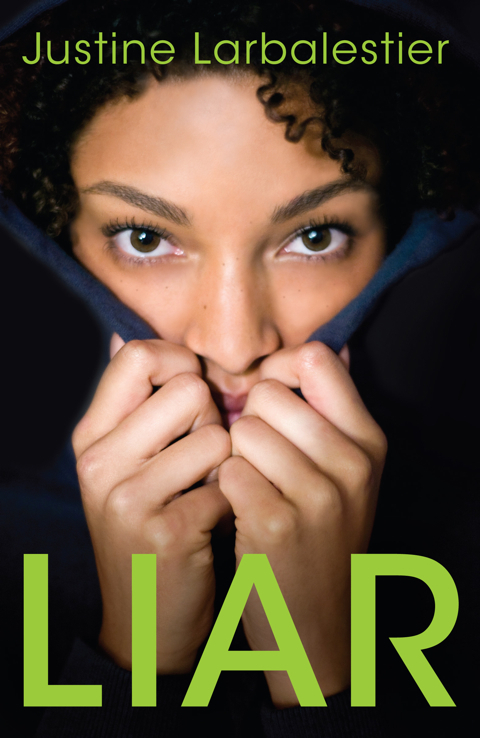 Posted in Admin, Fans & readers, How To Ditch Your Fairy, Liar, Magic or Madness trilogy. Yay! USian reader here who was very happy to discover How to Ditch Your Fairy was available on Kindle a couple months ago and really enjoyed it. Zombies V Unicorns wants next. This is good news for me. I’ve wanted to read Magic or Madness for a while, but I couldn’t find a store that carried it. It’s always exciting to download a new book! ;)I actually thought that more authors were digital than tangible because it was becoming too expensive to have paper books. I guess I was wrong. I’m glad to hear that your books are now digital! Oooo. I am going to have to read your story to see if my figuring is right, cuz I’m figuring it has to do with blood, which is often said to be thicker than water, which means that if it isn’t, there must be a story for WHY it isn’t.